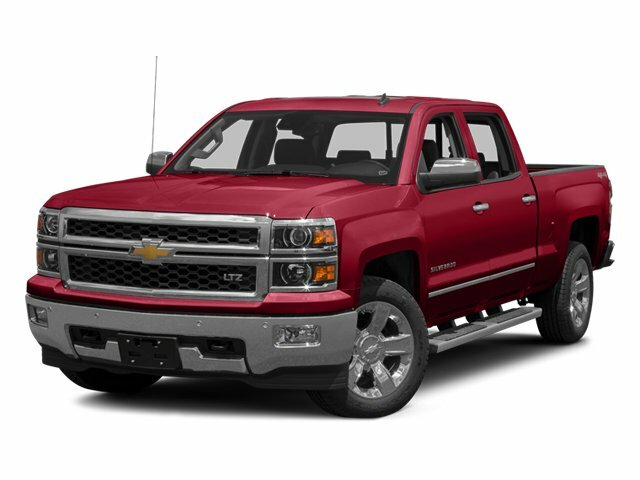 Description Come see this 2014 Chevrolet Silverado 1500 LTZ. Its Automatic transmission and Gas/Ethanol V8 5.3L/325 engine will keep you going. This Chevrolet Silverado 1500 features the following options: ENGINE, 5.3L FLEXFUEL ECOTEC3 V8 WITH ACTIVE FUEL MANAGEMENT, DIRECT INJECTION AND VARIABLE VALVE TIMING includes aluminum block construction with Flex Fuel capability, capable of running on unleaded or up to 85% ethanol (355 hp [265 kW] @ 5600 rpm, 383 lb-ft of torque [518 Nm] @ 4100 rpm; more than 300 lb-ft of torque from 2000 to 5600 rpm) (STD), Windows, power front and rear with driver express up and down and express down on all other windows, Window, power, rear sliding with rear defogger, Wheels, 18" x 8.5" (45.7 cm x 21.6 cm) bright-machined aluminum, Wheelhouse liners, rear, Visors, driver and front passenger illuminated vanity mirrors, Universal Home Remote, Transmission, 6-speed automatic, electronically controlled with overdrive and tow/haul mode. Includes Cruise Grade Braking and Powertrain Grade Braking, Transfer case, electronic Autotrac with rotary dial control (Included with 4WD models only. ), and Tire, spare P265/70R17 all-season, blackwall.